What are you going to do with that– teach? No, I’m not an English education major, just English. 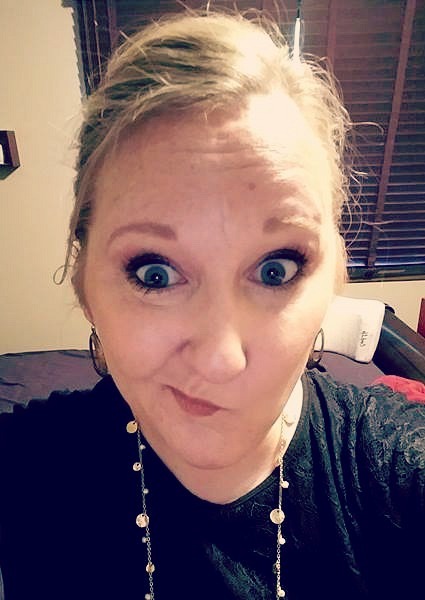 So, like, you’re gonna … read and write? Good luck with that. My English degree is going to teach me to think critically and communicate well, skills that any employer is going to want from his/her workers. I’m going to have my creativity stoked, my writing skills honed, and my worldview shaped and sharpened by reading the works and thoughts of some of the greatest minds in history. I’m going to be able to problem solve, think on my feet, fashion thoughtful responses and do it all with style. I can use my English degree as a stepping stone toward a graduate degree in a wide variety of fields, if I choose. Or I can choose to be gainfully employed by a company that needs a hard-working creative thinker. And write my stories and poetry at night. That’s what I’m going to do with my English major. 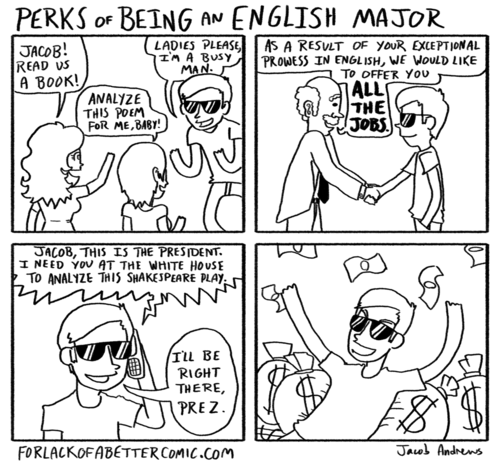 And now that I’ve stepped off my soapbox, please enjoy this comic, which is even funnier because of its terribly limited view of what an English major can do.